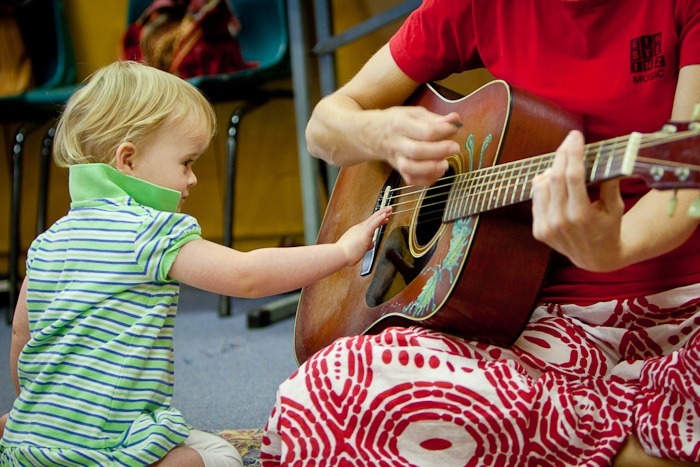 Einsteinz Music runs interactive music classes taught by professional musicians where all the music is ‘live’. These energetic classes explore rhythm, tempo and pitch through an accessible repertoire and hands-on experience with percussion instruments. Fun and educational! Siblings of different age groups are welcome to enroll together in the class appropriate to oldest child. Children must be accompanied by a parent or carer throughout the workshop.